Ok, time is money in the first weeks of September, so I'll keep this brief(ish). HELP! The boxes and wires in my room aren't working! Start by contacting your IT Building Assistant. Keep in mind though, these people are full-time teachers too, so it isn't realistic or fair to think they'll be able to drop everything and come right away. If they can't fix the problem, you'll need to use ServiceNow to put in a request. Remember, in the first weeks back, there are plenty of bugs to be worked out. In the moment, we all know that our problem is the most important problem there is. But remember that the staff in the IT office is limited in number, and they're doing the best they can. What websites do we have licenses for again? There are a number of excellent sites that our district purchases licenses for each year. It is very easy to lose track of what you and your students have access to. Please refer to the District Resources page on the Malone Teacher Resources site for a list of the major services we license, and information on how to access them. Is there anyone who can help me learn how to use some of this technology? Yes. Me. In my position as Ed Tech Coordinator, I can provide 1-on-1 PD and even help you roll out new technology in your classes if you'd like. For more information, check this out. In addition, we will be doing after-school workshops again this year. As soon as information is available and they are in MyLearningPlan, an email will go out. So stay tuned. In the past two issues we took an in-depth look at the ISTE Student Standard 1: Empowered Learner and Standard 2: Digital Citizen. 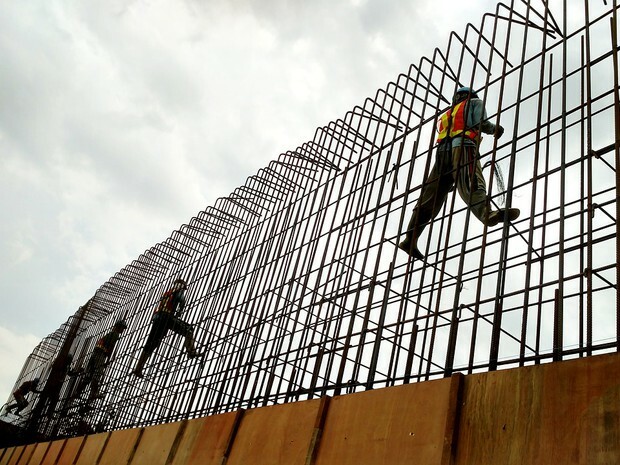 In this issue we'll focus on Standard 3: Knowledge Constructor. The past decade has seen many changes in the field of education. One wide-reaching shift has been the move toward student-centered learning. Anyone who has been in education for a decade or more is familiar with the often transient nature of trends in the field. The move toward student-centered learning, however, is backed up by massive amounts of research, much of it going back decades (for example), dealing with the way we learn, retention, as well as feedback from the world of the workforce regarding the types of skills graduates need. In short, the gist of this research and feedback is this: a major (almost obsessive) focus on memorization is becoming more and more pointless, and at the same time, the research shows that far less actual learning takes place when students are primarily the passive recipients of knowledge. Think of your own PD sessions. How much of someone standing in the front of an auditorium reading PowerPoint slides to you does it take before your mind starts to wander? In many ways, Standard 3 is student-centered to its core. 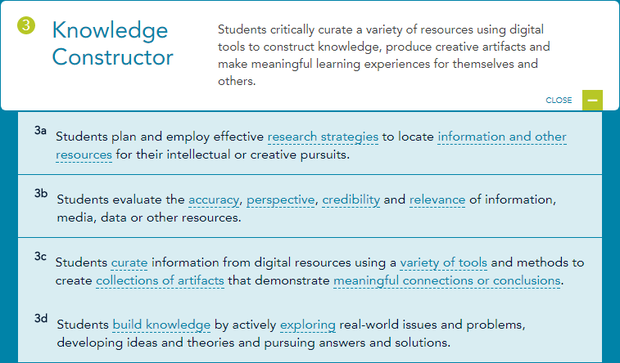 Rather than students sitting back and receiving knowledge from a teacher, they are put in the position to, and provided the necessary tools to, seek out information, pull it together from different sources, evaluate information for relevance and reliability, and put information from different sources together to create their own conclusions and products. Please note, this does not mean that students do not need to remember anything. In fact, there is research to show that direct instruction, done appropriately and properly, can be as effective as active learning (article). As a teacher you no doubt no that there are certain concepts of pieces of content that your experience tells you students need to have explained directly to them. 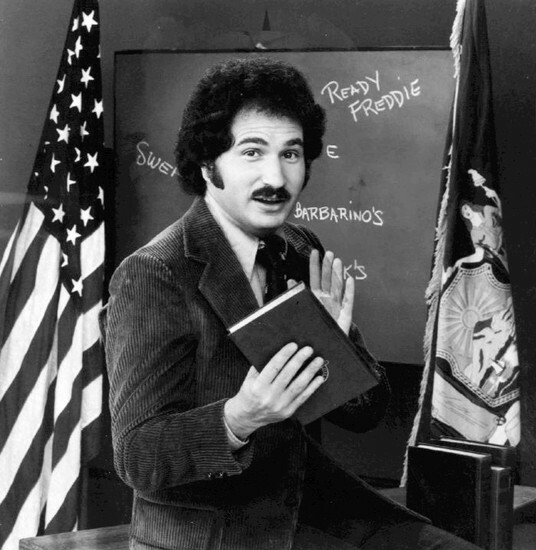 That fact does not negate all the research, though, pointing out the effectiveness of active learning. The point is, the two are not mutually exclusive. In the real-world, no classroom is going to be (or should be) all one or the other. 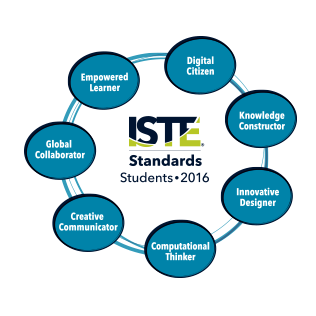 To check out the expanded view above, go to the ISTE Student Standards page. This is something classroom teachers often struggle with. Even if you're young enough to have come through college at a time when the bulk of your research for classes was done online, the digital world changes so quickly that it is often overwhelming. So many of us struggle with how to teach students to find good information online. Here we can also let ourselves fall into the "digital native" fallacy of thinking we don't need to teach them to find information, they've been doing it their whole lives. No, they've been Googling questions and looking at the first link their whole lives, but that doesn't equate to good research technique. My biggest piece of advice would be to take advantage of the experts you have access to, namely, your library/media specialists. 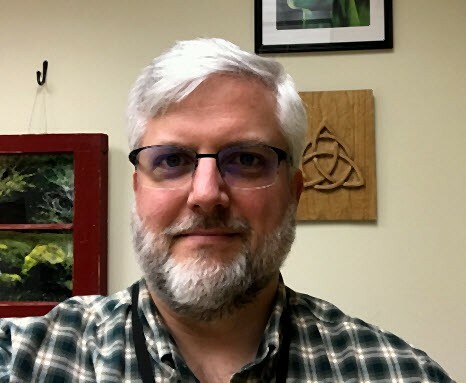 We are very fortunate to have a group of professionals who can not only show our students how to navigate the physical, hard-copy resources of our libraries, but how to plan and execute research strategies online. Don't forget that our libraries also have websites with many excellent research resources for you and your students. You would have to have been stranded on a desert island for the past year to not immediately recognize the absolute necessity of ensuring our children leave our schools with the tools to evaluate information they find online. As depressing at it may be that the phrase "fake news" has become so ubiquitous, it is the reality we are living in. Again, I would strongly encourage you to reach out to your librarian. They are experts in information literacy and can be invaluable in helping you and your students develop the skills to be able to evaluate online sources. 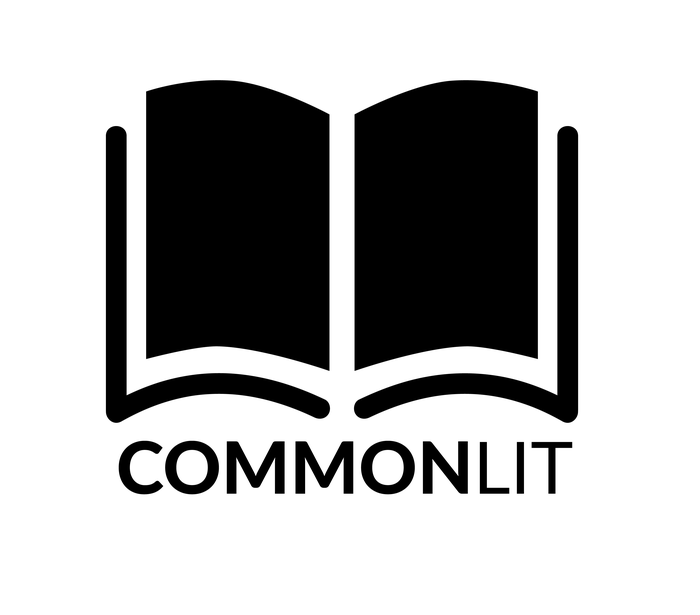 If you're looking to get some ideas for how to introduce the topic to your students, as well as some starting resources, check out Common Sense Media's toolkit on news and media literacy. Obviously, this indicator goes beyond news, but the skills to evaluate news sources can be applied to evaluate many sources of information and resources online. 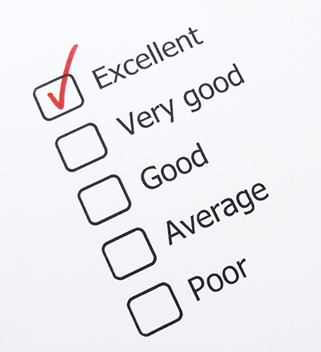 Many teachers also start with the CRAP Test as a framework for evaluating online sources. This indicator is really just the next logical step from the previous two. 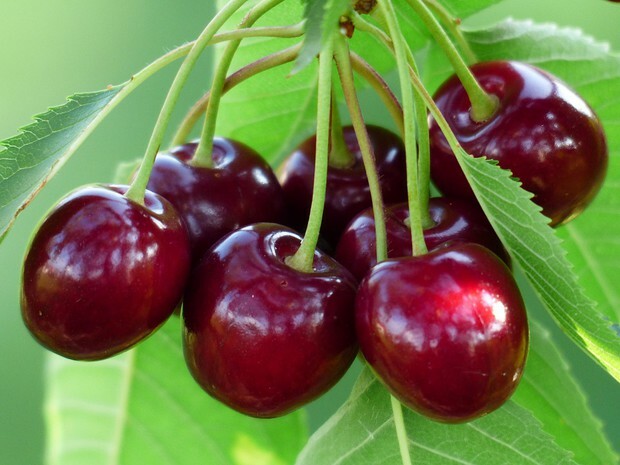 First they used strategies and skills to find information online, then they evaluated that information, and now they are cherry-picking the best information, sites, resources, etc., and bringing them together in one place. All of these are easily accessible, most likely familiar in use, and have interactive and multimedia capabilities. This indicator corresponds with the highest levels of critical thinking. 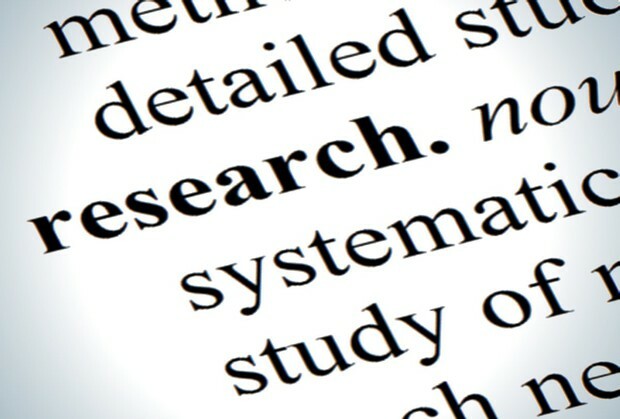 It involves students operating at the most sophisticated level of research. But still, it builds on the skills in the prior indicators. Here they take the information they have found and use it to synthesize and create their own knowledge. The essence of this standard, which culminates here, is instilling in students the requisite skills to be able to identify issues, devise ways to gather information, and then effectively combine that information and come to their own conclusions. As complex as that is, remember in our initial overview of the standards that we discussed that it isn't an oversight that the new standards are not organized in age or grade levels. Building knowledge is a very sophisticated skill, but it can be done in small, single activity bites, no matter the grade, to help them learn the steps and skills. Only then can it be done in more complex, large project chunks. Also, as the indicator alludes to, if we are looking to shift to student-driven learning, then the process described in these indicators is a very good road map to that type of activity. Here we have students identifying issues or topics, devising research strategies, and ultimately formulating conclusions (i.e. building their own knowledge). In addition to the district licensed services mentioned above, here are a few other things you might not have seen yet. 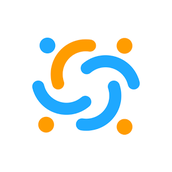 Looking for an easy, flexible way to stay in touch with parents? Class Tag might be just what you're looking for. You can send individual or class communication, see who hasn't read your updates, and resend or print hard copies to send home. All that, and it's free for teachers and parents! Anyone who has experience with project-based learning (PBL) knows that while it can be tremendously rewarding, it can also be daunting in planning and execution. 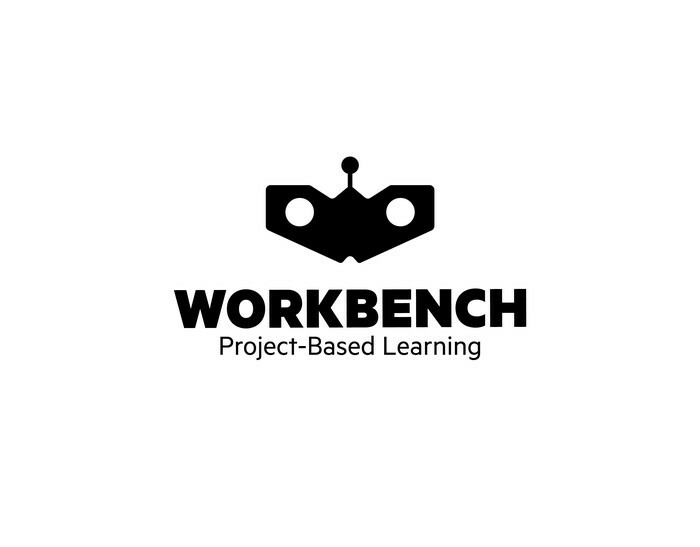 Workbench provides a free platform for PBL projects to be organized and take place. It also serves as spot for teacher to share their projects with others and to get inspiration. 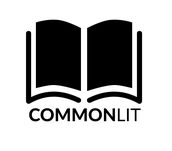 If you work with students in grades 5-12 on literacy skills, then you might want to take a look at CommonLit. While relatively new, this free service currently has a library of nearly 1,000 reading passages which can be assigned to students, and which have built-in tools and resources to track their progress. Check out Issue 2 of the MCSD Ed Tech Review for tips on using YouTube in the classroom. If you have a video that you think is worth checking out, send me the link and I'll include it in an upcoming issue. The Google for Education YouTube channel is worth subscribing to if you'd like to keep up with what's new in G Suite, and for ideas and inspiration for lessons. One of the video series they feature is EDU in 90, which is a quick update, in this case, and overview of changes made to Classroom this past summer. Just in time for leaf season, here's a quick video you could share with your students that explains why fall looks the way it does around here. As each year gets started, I get a lot of emails and calls from teachers wondering if their students have Google accounts set up, and if so, what their usernames are. Don't get me wrong, I am very happy to help. But in the September rush, it often takes me a few days to get back to people with that information. I explained this in an email, but I want to make sure everyone knows that they can quickly and easily find this information for themselves without having to wait for me.